At Massarella we are dedicated to contributing to a more sustainable future and we do so in a number of different ways from minimising our environmental impact and providing many employment opportunities to supporting local charities. 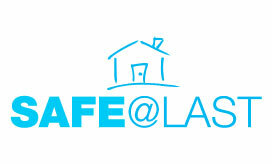 12 years ago we began working with SAFE@LAST, a South Yorkshire charity that is committed to working with children under the age of 16 who have issues around running away and the dangers that they ultimately face. Massarella Catering Group supports the charity with financial contributions but equally importantly by supporting awareness and fundraising events through participation by our Directors and staff teams. We have run marathons, slept rough, learnt to dance, provided catering services and much more. 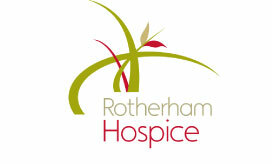 We are a proud supporter of Rotherham Hospice, a wonderful place that cares for the terminally ill in the town where our Head Office is based. Over the past few months we have raffled a 3kg Easter egg, held cake sales & taken part in sponsored events. Massarella continues to contribute to the communities in which we live and work in a number of different ways. We continue to actively support a range of other charities local to our stores which our staff and customers have chosen. Our internal community is one that we value very highly, as an important asset we treat our people with respect and all our people can expect to have a voice, be empowered, be rewarded for their achievements and have the ability to grow & develop within our business. We continue to promote the development of new skills by supporting apprenticeship schemes. We have developed an Academy to develop the people within our business enabling them to take a step up in their career. We will continue to support local schools and colleges in offering work based school placements and work experience. When it comes to sourcing and purchasing the food we serve to our customers, Massarella is committed to doing so honestly and responsibly. Traceability, sustainability & good practice are key and we are committed to animal & farm welfare. 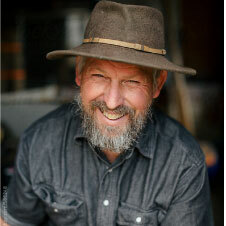 Our dairy farmer takes extremely good care of his herd of cows – they even sleep on a mattress for ultimate comfort! Our focus on traceability and quality means we work closely with our trusted producers to ensure we only source the best products for our customers. We work with suppliers who care about the products they supply us with and that’s why we aim to form long-term relationships with them. We care about reducing our impact on the environment and therefore the pollution & greenhouse gases produced by our delivery vehicles are high on our agenda. A number of years ago we consolidated our supply route moving to a single distribution path which cut the number of deliveries we made to our restaurants by over 70%. This translated into a significant reduction in emissions and carbon footprint. All the delivery vehicles we use conform to the latest European emission standards. Driver performance & software are constantly being used to identify opportunities for being ever more fuel efficient. All cooking oil used in the preparation of food, is sent back to the supplier and turned into bio diesel to offer a sustainable option for future deliveries.